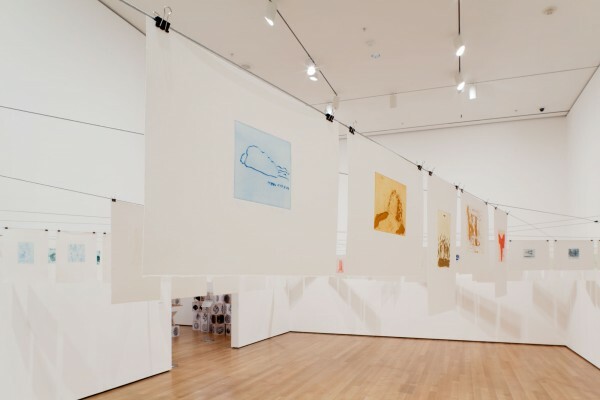 In 2001, with digital practices becoming increasingly widespread in the visual arts, Thomas Schütte decided to use very traditional, analogue image-making as a way of keeping a visual diary. Rather than drawing in sketchbooks, as he usually would, Schütte adopted the more labour-intensive approach of etching. 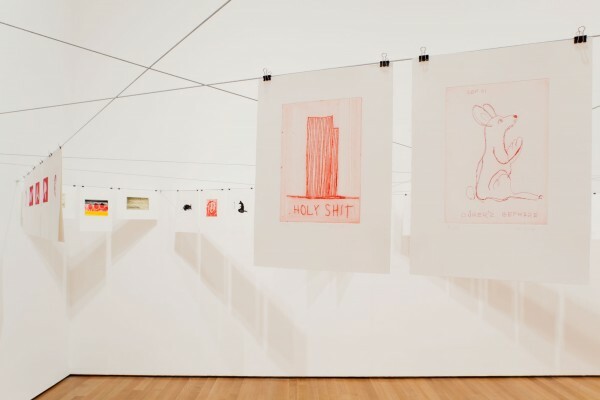 He subsequently produced an edition of 139 prints, one of which is included in the Print/Off at MoMA. Reading someone else’s diary, a decade after the event, isn’t necessarily that interesting and in part the fascination of this work lies in the installation rather than the images. The prints are suspended on lines criss-crossed through the gallery just above head height (if, like me, you’re quite short). 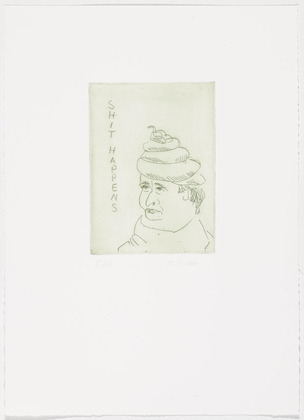 The images are sometimes charming, sometimes funny with many exhibiting a slightly bleak humour. The events of September 2001 are here of course, but overall world events play second fiddle to more mundane matters. The installation makes it impossible to read the work as a diary – there is no beginning or end and no clear sense of time passing or of a story unfolding – but that’s not really the point. Though in a way the work acts as a window into Schütte’s mind, in the main these are images to enjoy as single frames in a non-narrative. It would be possible to pass through the space without noticing key moments in the work – such as the twin towers image – and simply enjoy the images one glanced at random for what they are. I suspect few people really look at all the prints and I’m not sure it’s remotely necessary to do so to appreciate the piece. 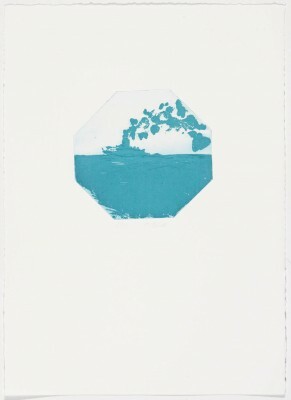 Overall Print/Out is an examination of printmaking’s increasing diversity of approaches and the move away from the ‘traditional print studio‘ so it’s interesting that Schütte’s work represents such a deliberate jump in the opposite direction. At a time when are can be made from anything, using whatever approach or process the artist deems appropriate, there is still a very clear place for the most traditional practices. Ultimately good art happens when the artist has something to say no matter how they choose to say it. 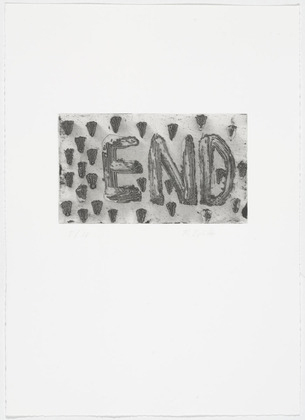 This entry was posted in Drawing, Installation, Printmaking and tagged art, etching, Low Tide Wanderings, MoMA, Print/Out, printmaking, Thomas Schutte by Ann Jones. Bookmark the permalink.